Warning: Changing your circumstances won’t give you peace. I just got off the phone with a man struggling deeply in an unhappy marriage. He feels cut out and unappreciated. His heart is aching. Earlier I had a conversation with a family sinking in enormous debt. They couldn’t make ends meet last month. They are afraid. A friend has wrestled with addiction for more than ten years. He’s gotten clean countless times. Every time his intentions are good, but then something painful happens, and he’s right back at it. These friends of mine all have two things in common. First, they’re desperate for peace. Second, they think that changing their circumstances will bring it to them. The trouble is that it won’t. 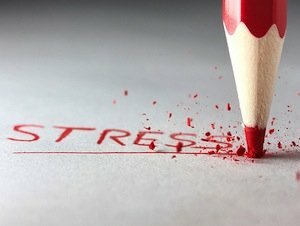 Are you on the edge with stress? Need some peace? Why changing circumstances won’t work. This idea is embedded deeply in our culture: Changing our circumstances will fix everything! After all America is the land of people who left their home to find a new life. That’s a pretty big change of circumstances! So we move. We get divorced. We buy a new house in a new neighborhood, or a new car, or a new TV. We move our kids to a new school system. We take a different job. We try a new diet. But it doesn’t work. Why? 1. Because your circumstances are always changing. 2. Because you really aren’t in control of the universe. I’ve spent a lot of years trying to control every aspect of my life. Why? Early in my childhood I came to believe that this was a way I could avoid pain. But it’s all an illusion. We can’t control other people. We can’t control the weather. On bad days we have a hard time controlling ourselves! 3. Because your outward circumstances don’t create your feelings. My 5 year old desperately disagrees. He’s certain that one more piece of candy or a new toy or getting his way will bring him peace. A lot of adults believe the same thing. Yet the truth is this: Our emotions arise within us based on the meaning that we assign to our circumstances. The very same events can be seen with different meanings, giving rise to very different emotions. If there is something in your story that is giving rise to painful feelings, that something is going with you wherever you go. If you wan’t peace, in most cases changing your circumstances won’t help. Two ways of thinking about peace. Jesus made this distinction in John 14:27. He said, “Peace I leave with you; my peace I give to you. Not as the world gives do I give to you. Let not your hearts be troubled, neither let them be afraid.” Here two visions of peace are presented. 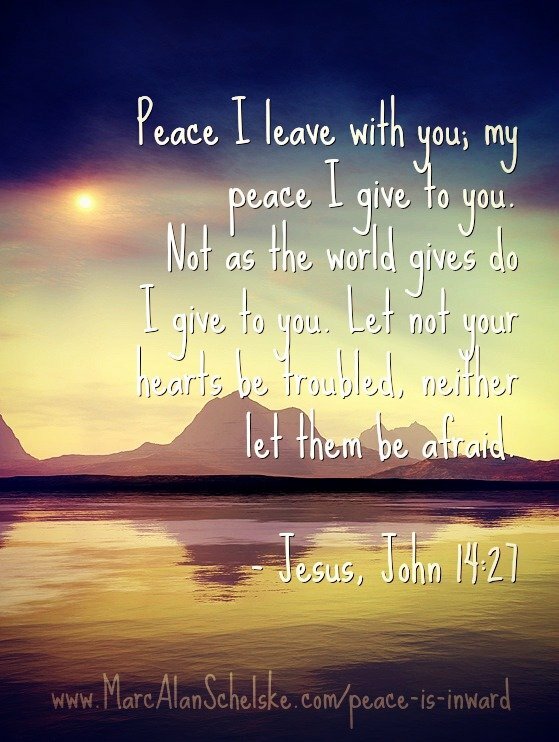 There’s peace like the world gives, and peace like Jesus gives. How are these different? The world offers peace through changing your circumstances. Have an unhappy marriage? Get a different spouse. Don’t like your life? Make more money. Move to a new city. Having difficulty in a relationship? Withdraw. You don’t need to be around negative people like that. Surely, there are times a change like that is necessary. But most of the time those changes don’t bring peace. Why? Because the source of peace isn’t outside of you. It’s not the disagreeable spouse or job or financial situation that is causing you stress. It’s you. It’s your heart. Your heart is unhappy because you aren’t being validated. Because you’re feeling alone. Because your feeling ashamed or hurt or afraid. Jesus offers an inward path to peace. In the world you will have trouble. Guess what? Your circumstances will always bring you some kind of struggle or stress. So stop looking there for peace. 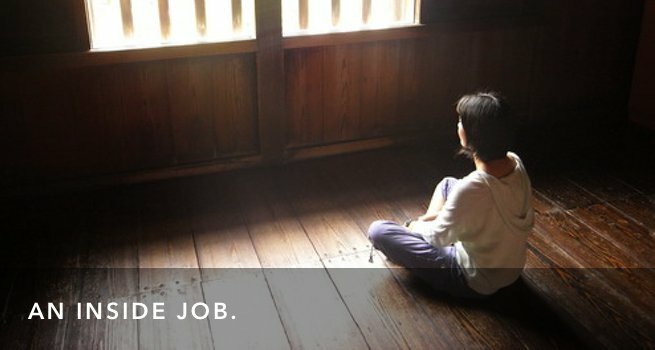 Instead, take heart. How? Follow this path and you will find rest for your souls. That’s peace. But it comes from walking with Jesus, taking His way into our lives. As our hearts change to reflect His heart, our peace increases. So make changes in your life when they are the right ones. When they help you make a difference in the world. When they take you closer to your passion. When they allow you to follow God’s path better. But don’t think those changes will bring you peace. Only letting your heart rest in Christ will do that. Journal Exercise: Respond to these 3 questions: 1) What or who in my life right now is causing me unrest? 2) What is my attitude toward that person or circumstance or my belief about them? 3) How might trusting Jesus more deeply alter that attitude or belief? Practice: Often a sense of unrest is felt in our body as a twist in our gut or feeling “sick to our stomach.” Next time you feel this, stop and ask yourself. What external thing do I believe is causing this? What internal belief or attitude in me makes this situation stressful? Then pray, asking God to alter your perspective and shift your belief. What’s causing you stress in your life right now? How might changing your attitude change your stress level?